Displaced Energy is an action research project. We bring traditions of qualitative, human/object centered research to bear on the way the humanitarian community understands and responds to needs for light, heat and power in contexts of forced displacement. Using approaches from anthropology and design we are exploring the interplay between being, identity, heritage and energy technologies. The role of everyday energy objects in people’s lives and how they use them. The value of innovative qualitative research in understanding energy use in humanitarian contexts. Ad-hoc ‘design’ innovations that emerge as people adapt materials, technologies and infrastructures to their energy needs. How energy produces well-being, identity and heritage through the atmospheric qualities of artificial lighting and cooking. The market and non-market exchanges through which wood, kerosene, charcoal, batteries, and diesel circulate. Through workshops and pilot field visits, we have established a novel methodology focused on everyday energy objects, practices, people and spaces. Our methodology adapts approaches from the fields of social anthropology, refugee studies, energy studies and design to the unique context and setting of two refugee camps. 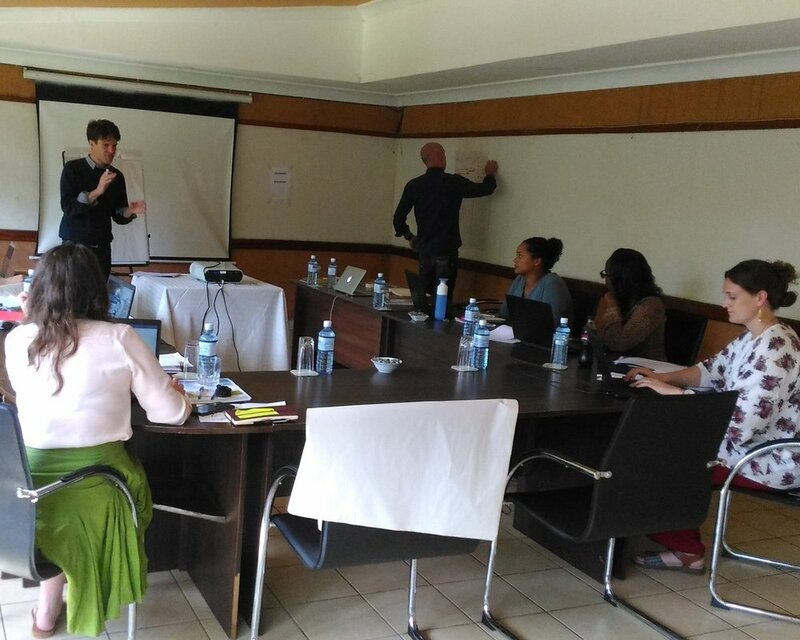 Workshops were held in Burkina Faso and Kenya, where decisions about how to apply the methods to the study of energy in refugee camps were collectively decided during the first of two 7 days training programmes in Qualitative Methods for Research on Energy and Forced Displacement. These training programmes were designed with a view to both meeting and generating demand in the humanitarian sector for qualitative energy researchers and building research capacity around data collection and analysis. The taught workshop programme included presentations, seminar discussions, group based exercises and assigned readings. Participants included all research team members and was open to other researchers in the humanitarian/energy sector, with a maximum of 15 participants. The training consisted of two sessions: Fuel Up and Recharge. The latter was the first training programme, which was held in Burkina Faso during April 2017. Fuel Up introduced research teams to qualitative research approaches to energy drawn from social anthropology and design. The programme also introduced ethnographic, human centred, object-oriented, visual, and participatory and collaborative methods for studying energy practices. This first training was followed by 1-2 week pilot studies in Dadaab and Goudoubo, held by Kenya and Burkina Faso research teams respectively. Recharge was the name of the second training programme, which was held in Kenya. This second workshop was used to reflect upon the analysis and interpretation of qualitative data, challenges and limitations from the pilot studies, and to reflect upon and refine an appropriate range of methods for use in contexts of forced displacement. A set of common research “objects”, establishing existing knowledge of research gaps and lacunae, and working from the expertise of our team. These common objects would orient research going forward, acting as entry points into our field sites, focus points for people’s eyes, anchor points that helped to orient conversations with research participants and organising objects that helped to structure the materials. A set of common methodological practices for identifying the objects of our research, for a qualitative and ethnographic enquiry into these objects, and for the recording, collection and sharing of "research data”. Reflections on the implications of these methodological practices for working with communities of displaced people. Different resources were used during the training sessions. How to deliver this type of research?